A joint statement issued by leading Kurdish figures in the international community has condemned Turkey’s incursion into the Syrian region of Afrin. 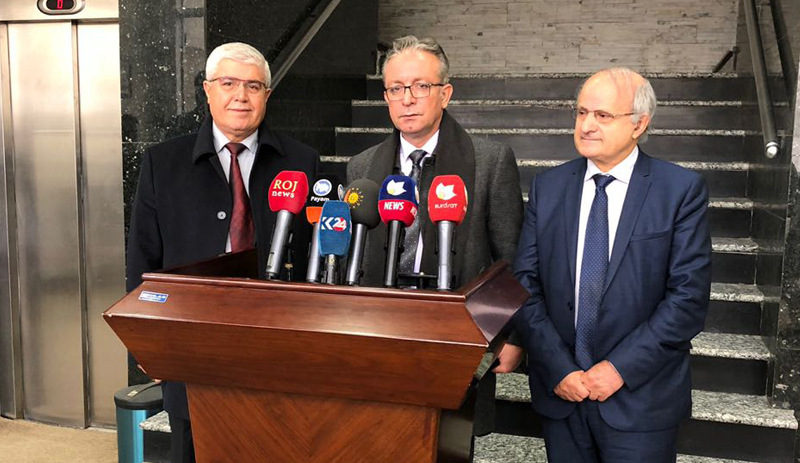 Two Kurdish academics, Dr Serbest Nebi and Dr Musa Kaval, and Kurdistan parliamentary representative Dr Kerim Bradosti presented the text in a press conference held in the parliament building of Iraq’s Kurdistan region. Many prominent Kurdish figures, including artists, journalists, writers, and more than 30 deputies from Iraq’s Kurdish parliament signed the statement. In addition to condemning Turkish military action in Afrin, described as “vindictive and racist”, the statement also urged the international community to take action and called on Kurdish people to take steps to solve internal disagreements and present a united front to the world. The Turkish incursion into Afrin, which began a month ago, targets a region in Syria’s north-east that has been under the control of Kurdish forces since 2012. Turkey claims the offensive aims to cleanse the region of terrorists. However, many Kurdish people believe that the operation explicitly targets Kurds. Dünyanın dört bir yanından bini aşkın Kürt aydını ortak bir açıklamayla Afrin’e yönelik müdahaleye tepki gösterdi.